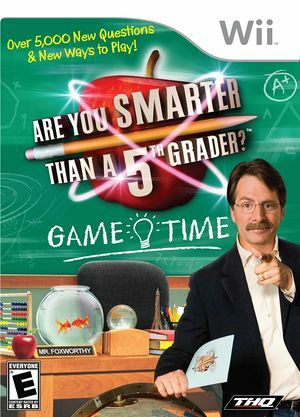 Series Are You Smarter Than a 5th Grader? You've seen the show, now it's time to prove what YOU know! Drop your pencil and gather the family because it's Are You Smarter Than a 5th Grader? : Game Time! Can you answer all of the questions to prove that you Are Smarter Than a 5th Grader! The graph below charts the compatibility with Are You Smarter Than a 5th Grader? : Game Time since Dolphin's 2.0 release, listing revisions only where a compatibility change occurred. This page was last edited on 31 July 2018, at 18:19.